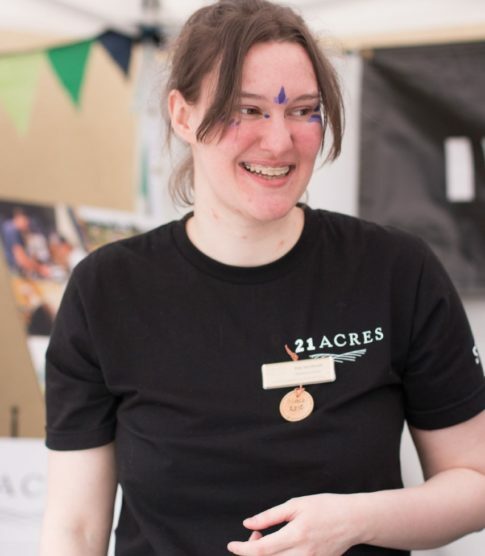 We have a highly talented, helpful and enthusiastic team at 21 Acres! Learn more about our staff. Gretchen Garth is the founder of 21 Acres and Board Chair of the HumanLinks Foundation, a nonprofit organization dedicated to systematic improvements in education, healthcare, and sustainable agriculture. Krystal is our Administrative and Volunteer Lead who came to us from University of Washington Bothell. 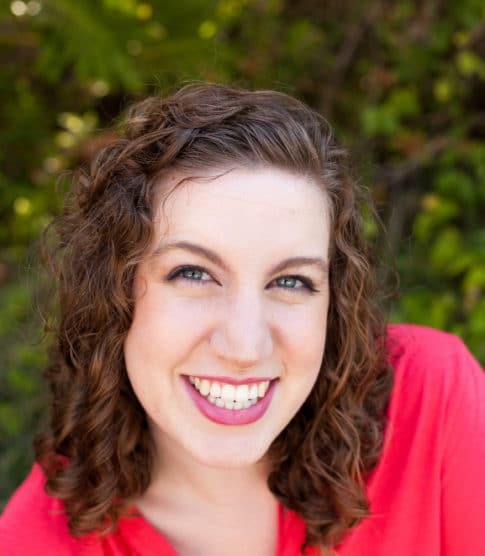 Eva Jacobson is our Marketing Assistant and works closely with our Marketing Director. Liesl McWhorter co-directs 21 Acres and she leads our Farm and Farm Market teams. You'll find Sabrina Pour in the Farm Market as a wonderful resource. Asako Fukuda Sullivan is an entrepreneur and owns a business called The Sustainable Collective. 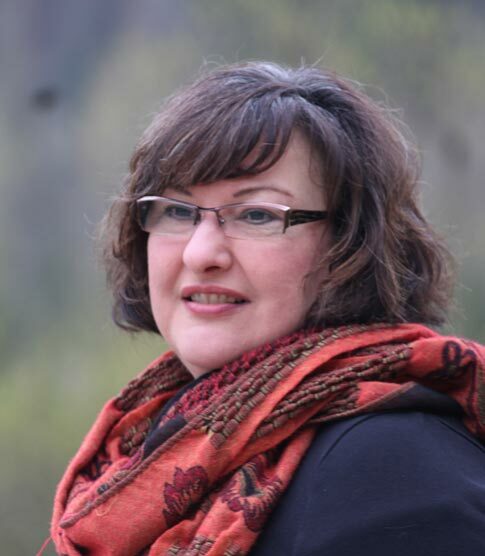 Brenda Vanderloop is our public relations consultant and owner of Vanderloop Communications. Barry Febos is our Facilities Energy Manager & Educator. Becca Jordan is our Operations Lead at 21 Acres. Caroline Ferguson leads our Farm Market team. Robin Crowder co-directs 21 Acres and she leads marketing and partnership development. Gretchen Garth is the founder of 21 Acres and Board Chair of the HumanLinks Foundation, a nonprofit organization dedicated to systematic improvements in education, healthcare, and sustainable agriculture. 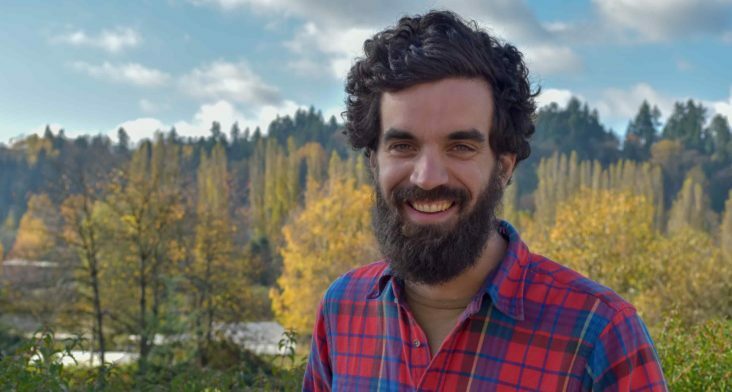 A long-time community advocate for local food, sustainable agriculture, and green building, Garth was the driving force behind the creation of 21 Acres and continues to serve the organization as a committed organizational leader and volunteer. When receiving an honor, early in the conceptualization of 21 Acres, Woodinville Rotarian John Hughes said, “We can all learn from Gretchen the importance of taking better care of our open spaces and of providing valuable opportunities to maximize the healthful, beneficial aspects of fresh, local produce and farm products. It has not been an easy road to date. Her determination and steadfastness in the face of public doubt and groundbreaking challenges have been exemplary. Gretchen has been able to remain true to her shared vision now being realized that will benefit generations to come.” Gretchen loves to travel – New England, France, and Italy are some of her favorite destinations and she frequently brings back inspiration to 21 Acres. Karen King helps with many activities at 21 Acres and is considered the Operations Support Specialist. She is a long-time Woodinville resident and has been with 21 Acres since the early days, washing dishes, making coffee, and helping keep the kitchen clean. As 21 Acres has grown, her role has grown as well. She works as a kitchen assistant when needed and serves as event staff helping to run small events and cooking classes. Occasionally, Karen’s excellent writing skills are called into play and she’s asked to edit miscellaneous written words. 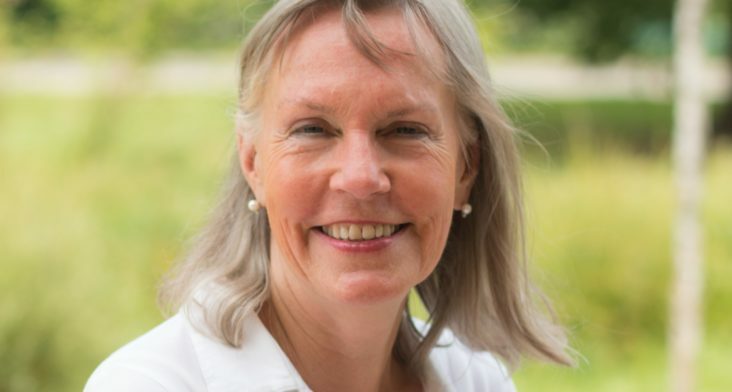 Karen has been active in recycling, organic eating/farming, holistic medicine, and water conservation most of her adult life and she finds that her values fit in very well with the work of 21 Acres. Jen Horner is a member of our Farm Market team. 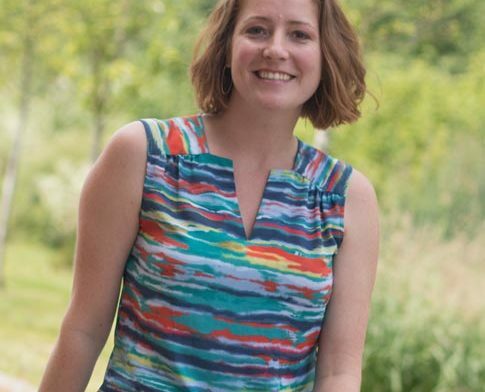 Raised on a farm in Iowa, Jen didn’t discover her passion for sustainability and local food until studying Rural Sociology at the University of Wisconsin-Madison. 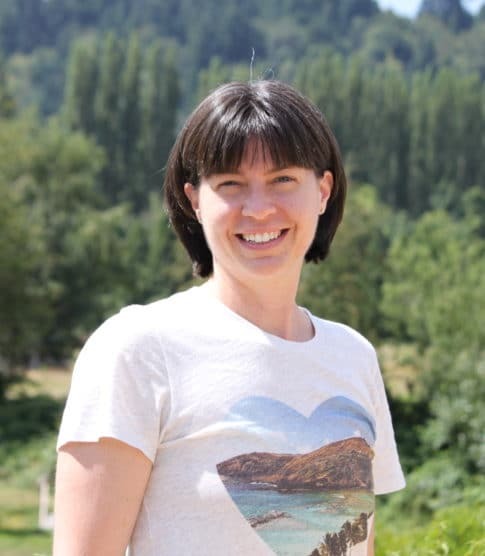 After having spent years working for food co-ops, vegetable farms, garden nurseries, and research institutes, Jen is happy to now be a Woodinville resident and part of the 21 Acres team. 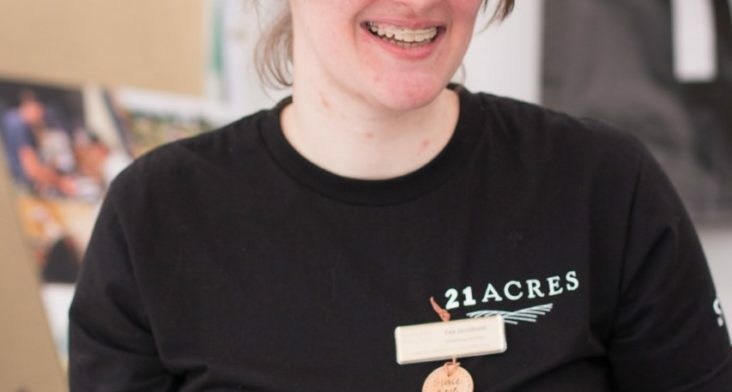 You can find Jen in the 21 Acres Farm Market or working alongside Andrew and Pepe on the farm. Jen’s many interests include food (cooking and eating), gardening, and exploring this wonderful world. Feel free to stop by 21 Acres and let her know what great book she should read next. Krystal is our Administrative and Volunteer Lead who came to us from University of Washington Bothell. 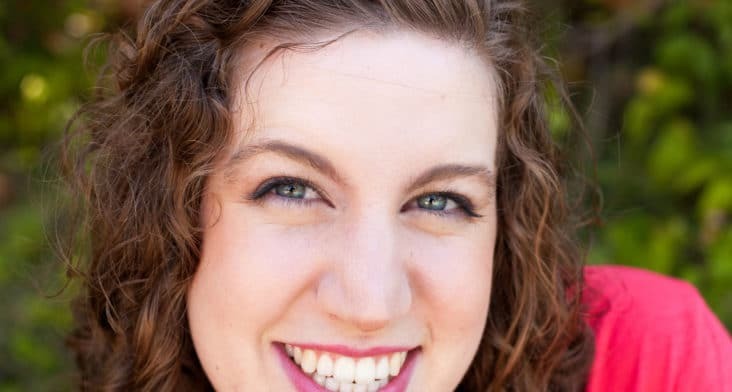 While studying the complexities of Community Psychology, she became passionate about holistic healing and alternative treatments for Veterans who struggle with PTSD, anxiety, and depression. Krystal was introduced to 21 Acres through the Community Based Learning and Research Program at UW Bothell where she learned about our Veteran’s Half Acre. Having served in the Navy for 8 years, she immediately felt attached to this space. Following her curiosity of horticulture therapy, she interned for a season on our neighboring farms; SAgE and Morethana Farm. Krystal’s diverse clinical and customer service experience makes her a great fit to manage the front desk; connecting visitor’s interests with 21 Acre’s programs. When she’s not running the front desk, you can find Krystal touring the farm, taking photos of new growth and progress, or cooking in the kitchen. Eva Jacobson is our Marketing Assistant and works closely with our Marketing Director, Robin Crowder. Eva first came to 21 Acres in 2006 as a student volunteer with the National Junior Honor Society. With the help of school friends, she painted the Garden Shed that stands to the south of the 21 Acres Center. Intrigued by the 21 Acres mission, Eva continued her volunteer work and eventually became a 21 Acres intern. In 2010 she became a part-time employee, working for several years as an Administrative Assistant before joining the marketing team. Eva has also spent time in the 21 Acres Kitchen as a dishwasher and event staff helper. Eva has a B.A. in English Literature from Seattle University and is currently completing a Master’s Degree from the University of British Columbia. Like all good English majors, she enjoys reading and writing, as well as trying out new recipes and cooking tricks picked up in the 21 Acres’ Kitchen. Liesl McWhorter co-directs 21 Acres and she leads our farm and Farm Market Teams. Though Liesl brings with her degrees in business and law, she says the experience that best prepared her for her work at 21 Acres was fostered in her Grandmother’s garden, where she would spend hours pulling weeds, digging potatoes, gobbling up “garden candy” (peas) and, of course, relocating the plethora of snails who tried to set up shop in the strawberry beds. 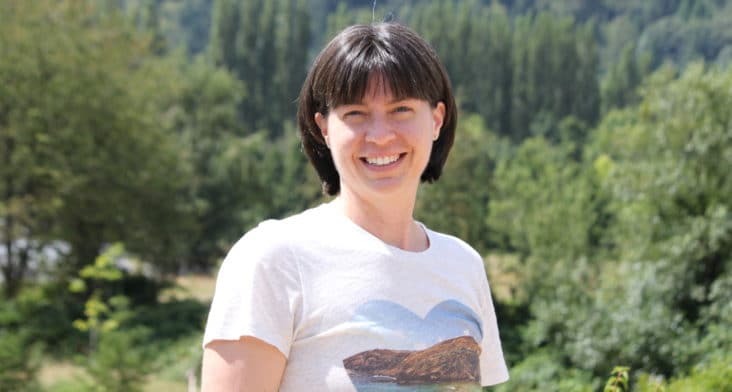 Liesl loves working with Washington farmers dedicated to chemical-free growing and enjoys engaging customers in conversation about the many benefits of seasonal eating. Stop in during Farm Market hours for a friendly and, hopefully, inspiring chat. abrina Poor is a Farm Market Team Member. She came to 21 acres after she moved to Woodinville and fell in love with the farm’s mission and sustainable goals! Sabrina is a yoga teacher, doTerra Wellness Advocate, blogger and singer/songwriter. 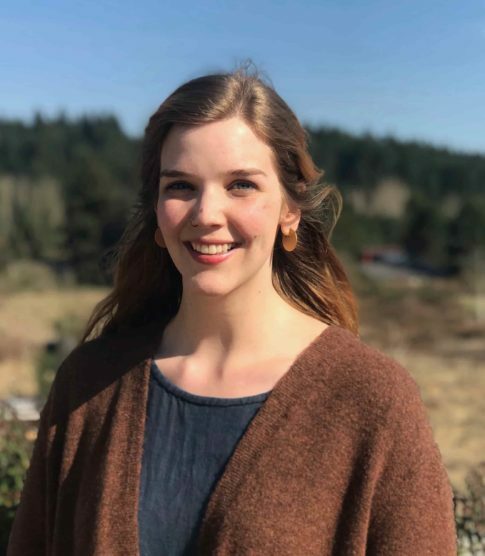 She is pursuing a double major in Environmental Economics and Policy and Sustainability with a minor in Horticulture from Oregon State University. Sabrina is the face behind The Displaced Post-Millennial, a blog and YouTube channel that hopes to educate people on how to live a sustainable, healthy lifestyle both on a personal level and a global level. 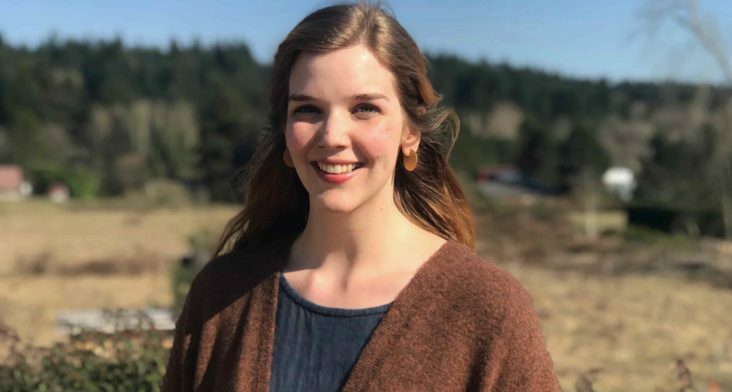 Sabrina grew up on Fidalgo Island and took trips throughout the year with her father to gather their protein from the local forests, rivers and ocean. Her parents taught her the value of gathering directly from the land in a respectful manner and supporting small business, as both her parents own small businesses! Stop by the Farm Market on Fridays and Saturdays to chat with Sabrina about yoga, essential oils and just about anything else. Asako Fukuda Sullivan is an entrepreneur and owns a business called The Sustainable Collective. She and her staff prepare all the food for our Farm Market and for special events. Born and raised in Tokyo, Japan, Asako came to the U.S. 25 years ago. Her favorite childhood memories include visiting farms, foraging and fishing with her father, and learning to cook with her mother, who was trained in traditional Japanese and French cuisine. Prior to joining 21 Acres, Asako worked in international sales and marketing; a field which allowed her to travel the world, discovering a variety of culinary traditions from every continent. In need of a change of a pace, Asako decided to leave behind her life of world travel and pursue her passion for cooking by enrolling in the Pâtisserie and Baking program at Le Cordon Bleu College of Culinary Arts. 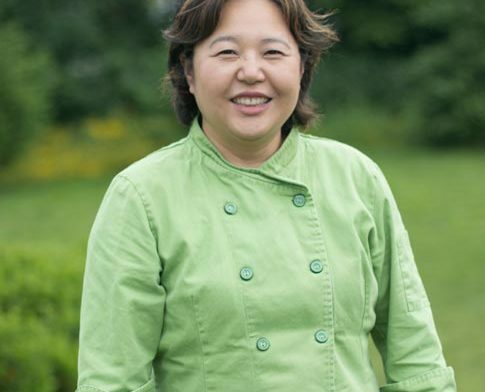 After working for a number of restaurants and caterers, Asako found a home at 21 Acres, where she was able to put her lifelong love of food and nature to (delicious and healthy) use. 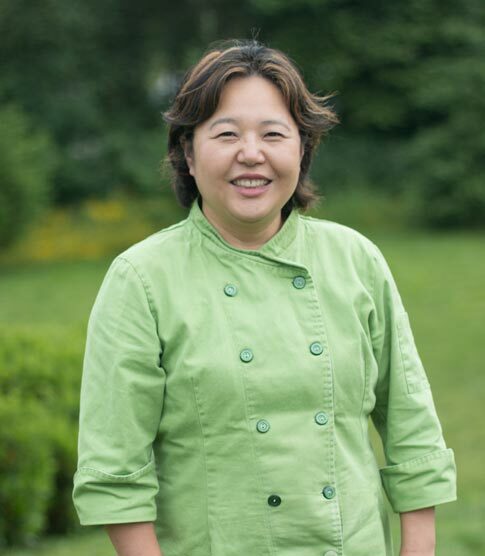 You can almost always find Asako in the 21 Acres Kitchen baking or creating tasty foods for the Farm Market and events. Stop in during your next 21 Acres visit to see—and smell—what’s cooking! 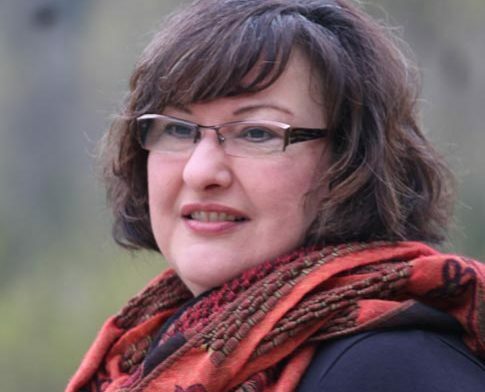 Brenda Vanderloop is our public relations consultant and owner of Vanderloop Communications. Brenda’s activities in the local food movement began in the early 1990’s providing promotion and community relations services to the local Farmers Market Board. 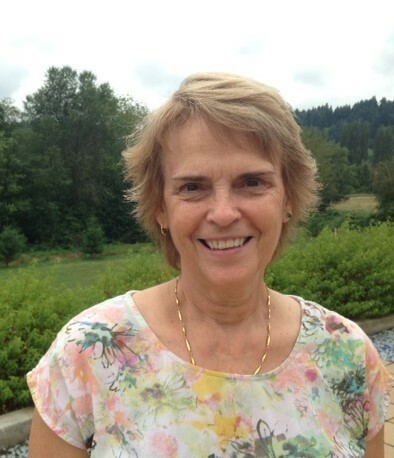 The ensuing years strengthened her commitment and support in the broader Woodinville area, not only as an advocate for agriculture and farm fresh food, but also with the expansion of educational opportunities through the Northshore Schools Foundation Board; as former director of the Woodinville Chamber’s Tourism Partnership and proponent to small business in the region. Brenda assists 21 Acres in fostering strong relationships in the community and effectively building a diverse audience promoting the many programs and activities within the organization. She juggles many projects including media relations and promotion; developing strategy and content for our social media platforms; and managing and maintaining our website. As one of the few who has been with 21 Acres since its inception, she is often referred to as the organization’s historian. 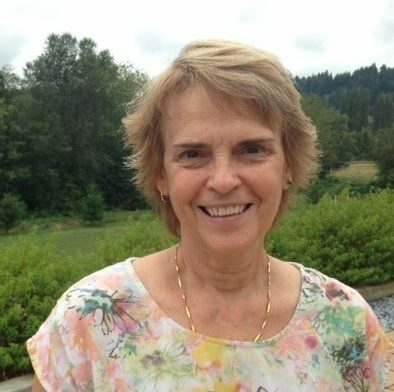 In addition to her work with 21 Acres, Brenda serves as the Executive Director of the Sammamish Valley Alliance, a non-profit dedicated to preserving and sustaining agriculture in the valley. Having lived many years in Woodinville proper, Brenda is also a long-time volunteer in the community. Barry Febos is our Facilities Energy Manager & Educator. He is a skilled sustainable technologist and ecologically minded jack-of-all-trades. 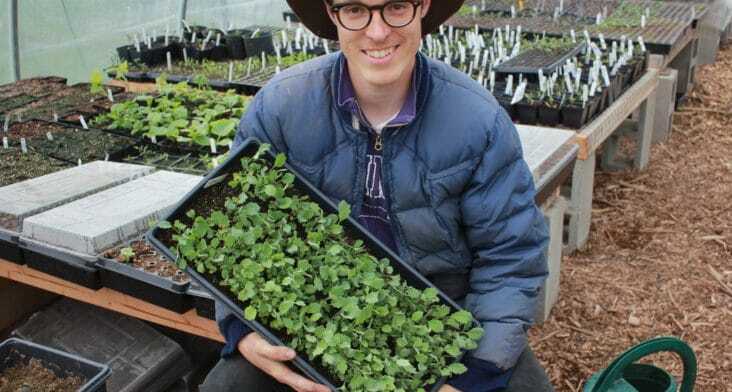 Barry has an MS in Appropriate Technology from Appalachian State University where he developed regenerative energy and soil building systems for resource-limited local farmers. He has diverse work experience ranging from the design, construction, and analysis of renewable energy systems and buildings to cooperative business management, writing, art and education. Barry conducts tours of our LEED Platinum building and can often be found performing repairs, installations, and analyses around campus. Barry enjoys exploring the woods, discovering new music, foods and ideas and sharing as much of this as he can with those around him. Don’t hesitate to pick his brain anytime. For Barry, a perfect day ends with a fresh plate of ravioli and a good movie. 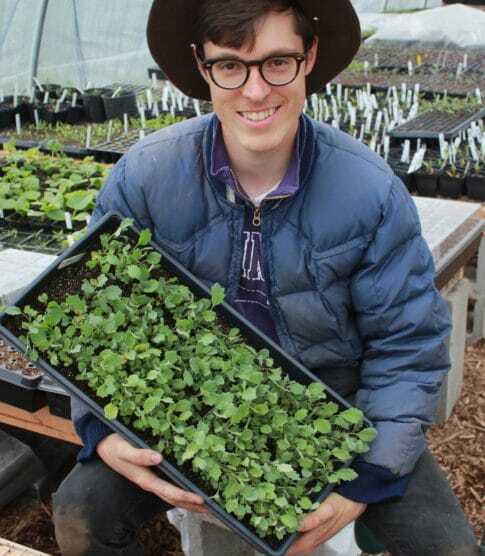 Marshall Leroy is the Youth Farm and Garden Education Coordinator at 21 acres. 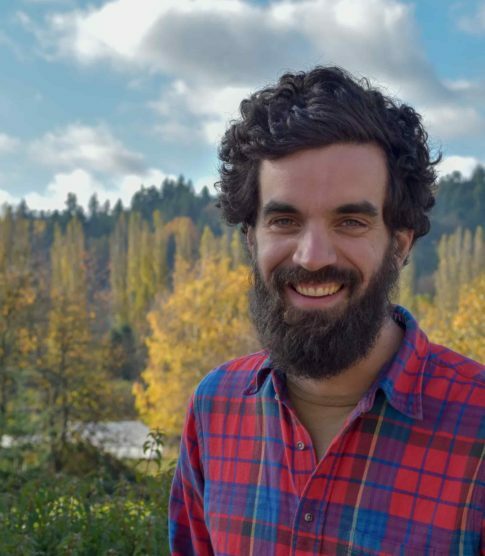 Marshall comes to 21 acres with a background in sustainability studies, ecology, and farming having graduated from the University of Washington Bothell campus in 2016 with a degree in environmental studies. Marshall Is a passionate organic grower and educator, dedicated to teaching organic and sustainable gardening practices to 21 acres visitors. His goals at 21 acres are to make a dynamic learning space which is both highly productive and pleasing to all of the senses. 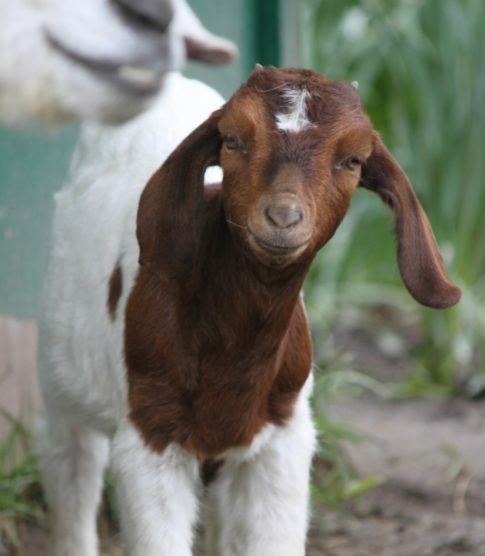 You can often find him tromping around the youth farm with mud on his boots and a smile on his face! Marshall’s favorite flowers are Jasmine and poppy. His favorite garden insects are Jumping spiders! Kari Fetrow is a member of our Farm Market team. Kari is a graduate from the University of Washington with degrees in both Inorganic Chemistry and Biochemistry. This is where she found her love for sustainability and organic farming. 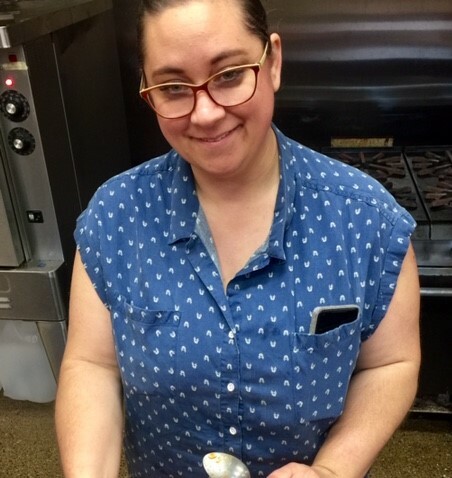 Kari has a restaurant and catering background, so you will usually find her in the market putting together beautiful sample platters or cooking up something yummy for customers to snack on in the little convection oven the market houses. 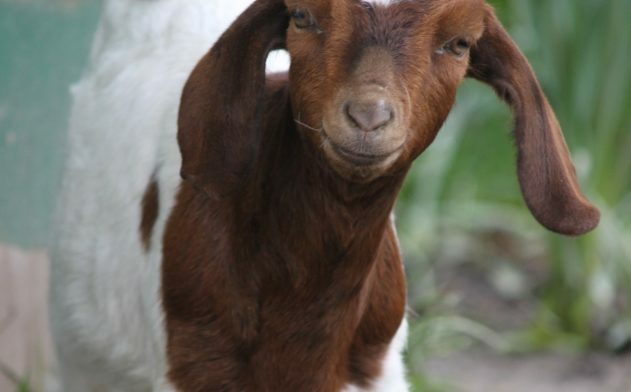 Moreover, Kari is mother to three beautiful children, whom often can be found running amok in the market on Saturdays or out on the farm feeding our resident goats. Jess is our grounds maintenance attendant. When she is not caring for our grounds, she is perusing a degree at University of Washington. 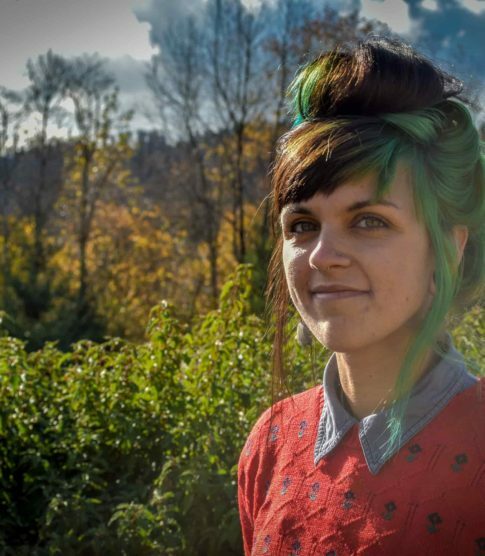 She studies Landscape Architecture and hopes to use these skills to design a more beautiful and sustainable world. 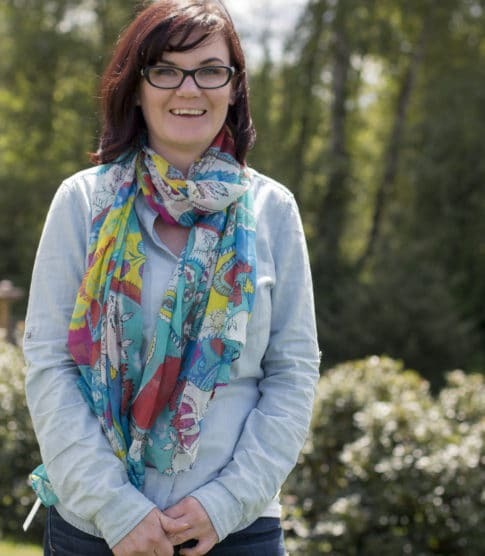 Jess worked in Horticulture for the last 10 years and loves ornamental and edible gardening. She uses her green thumbs in the nursery and front campus to invite visitors and pollinators alike. 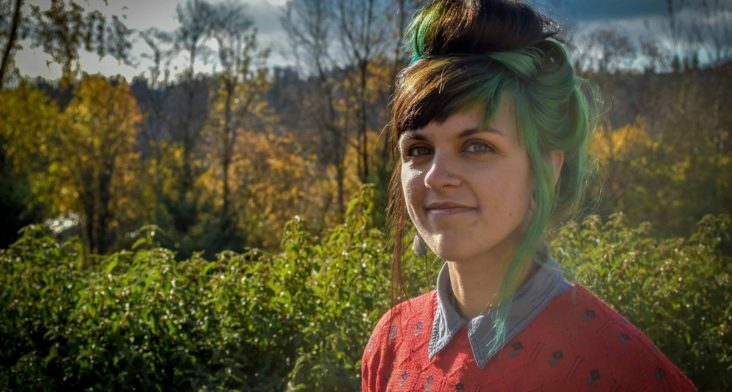 She is particularly interested in the intersection of urban sustainability and design, she stewards small space gardens throughout the grounds and uses them as learning tools to spread the good word about homegrown food on a variety of scales. She shares her passion for horticulture and design with volunteers and students on Saturday volunteerparties and community-based learning programs. Jess started at 21 Acres as an UW intern and through her commitment to the 21 Acres missions has continued as a part-time employee. If you see her bouncing around the grounds, feel free to ask any gardening questions. Becca Jordan is our Reception Administrator at 21 Acres. If you give us a call, she’ll answer! Becca connects with visitors and keeps 21 Acres communications running smoothly. 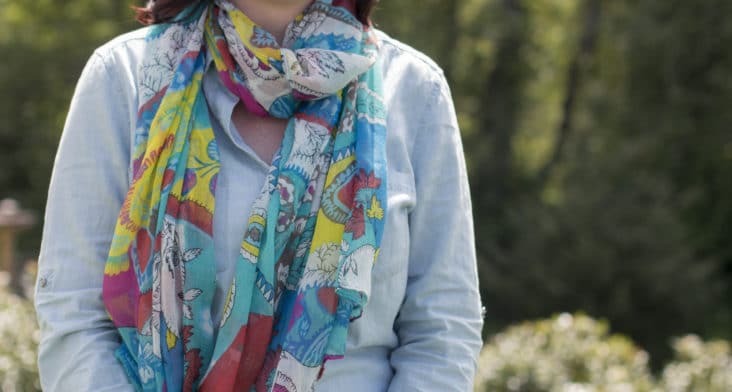 She has a variety of background experience, from science fiction writing and art to education, technical theatre and costume design to horse care. She’s passionate about learning new things about the natural world and social and climate justice. In 2015 Becca participated in the Clarion Writer’s Workshop and graduated with an MFA from California Institute of the Arts in 2016. Becca originally hails from Escondido, California and recently moved to the Northwest from the small mountain town of Durango, Colorado. Her favorite parts of the Pacific Northwest are the ancient trees and plethora of life around every corner. Caroline Ferguson leads our Farm Market team. Caroline hails from Bainbridge Island, where her lifelong love of food and cooking first took root. She studied education and journalism at Seattle University, but constantly found herself coming back to food. This passion evolved into a career as a professional baker and writer specializing in the Puget Sound region’s incredible foodshed. 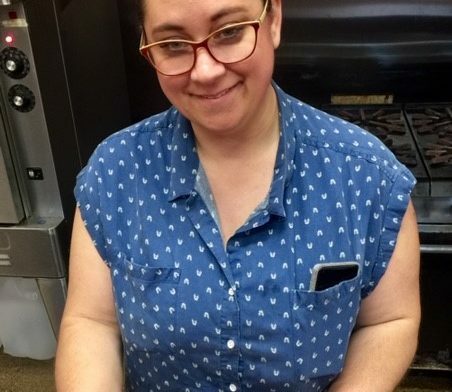 She is particularly interested in local grains, and is excited to answer all your baking questions! Before landing at 21 Acres, Caroline was a Bon Appetit Sustainability Fellow and Communications Manager at SHED, an award-winning modern grange in California’s wine country. She is thrilled to have returned to her home state as a member of the 21 Acres team! 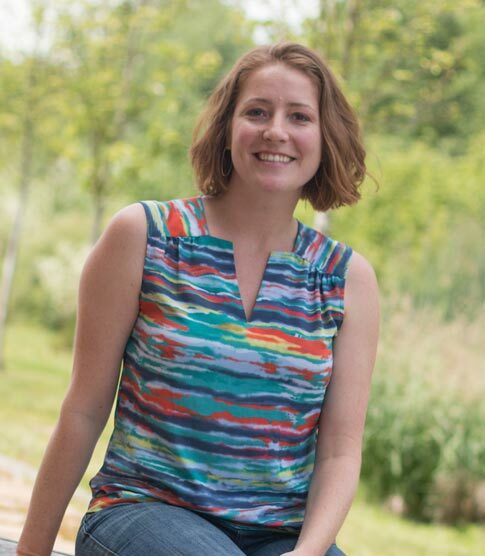 When she’s not daydreaming about dinner, Caroline is an avid knitter, sewist, quilter, and slow fashion enthusiast. Robin Crowder co-directs 21 Acres and leads marketing and partnership development. Her expertise is in sustainable marketing initiatives, building supply and demand for local foods, and developing new programs with a conscious attention to environmental issues and climate action. Robin’s interests lie in forging relationships with community organizations and exploring entrepreneurial opportunities.